The grade 5 banquet was held at Blackville School on the evening of June 14. Each grade 5 student could invite two guests, along with the elementary staff. Guests were treated to pizza, garlic fingers and a sundae buffet. 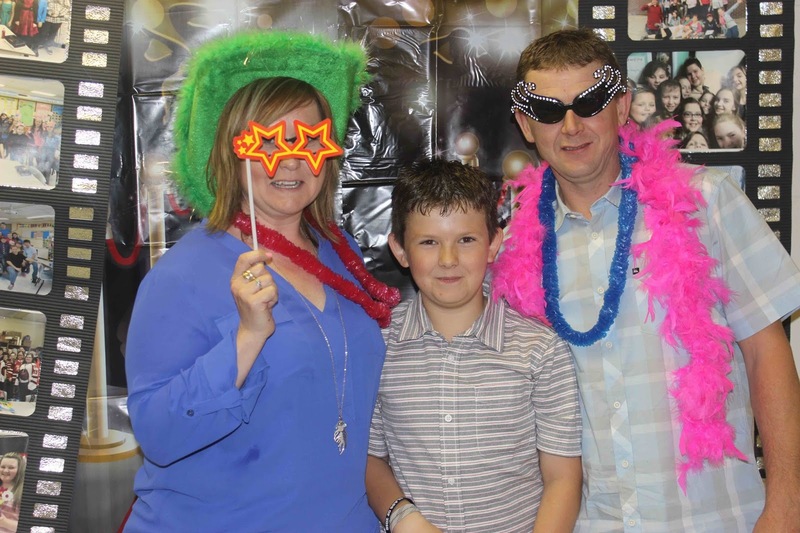 There was also a photo booth with different props where students could pose for pictures with family members. Awards were given in all academic areas. The Ron Pauley Memorial trophy was awarded to Tessa Munn. This award recognizes leadership in athletics. The students also performed their version of the song "My Church" as "My Class." For more photos from the banquet, click here.